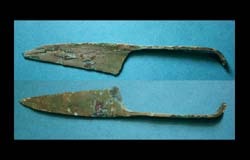 Con/ VF; glossy green patina with earthen fill, well-centered with sharp stikes on both sides and cannot be improved in any manner. Seller's Note/ This 'radiate' issue of Gordian is rather scarce and hard to find in this lovely condition, trust me, especially with such a perfect and untouched patina. Not sure why, perhaps due to the alloy (? 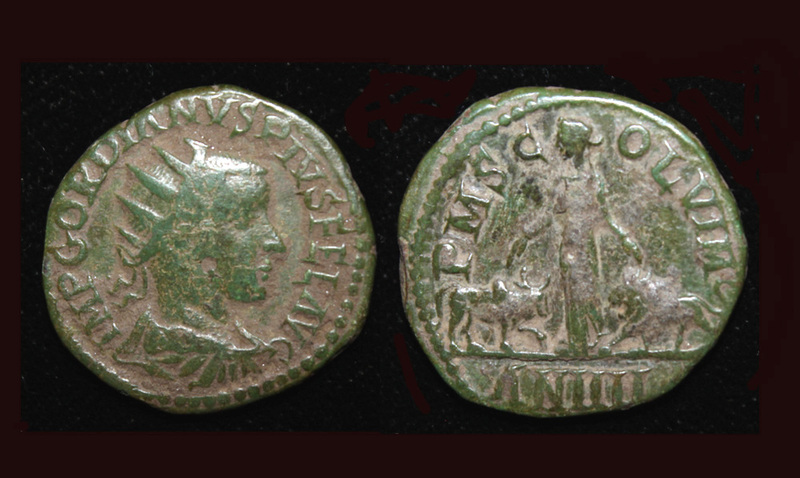 ), but Viminacium issues tend to accrue spectacular green patinas.